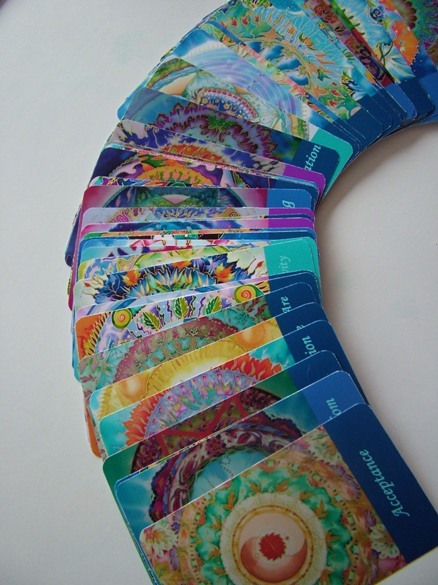 It’s Thursday again and the day that I always pick oracle cards for those of you who visit me on my Inspired Art and Living Facebook page. I often like to pick one for myself too and share in the fun. So, today being no exception, I decided to take part. Now interestingly, I already picked some cards for myself a few days and ago and was prompted to pick up John De Ruiter’s amazing book ‘Unveiling Reality’ and start to read it again. I chose the card ‘Break Through Resistance’ and it really gave me food for thought. You see, in the past I have often looked for specific things, thinking that I would find the answer in one particular area of my life. But I was given a huge divine prompt to pick up John’s book again and dive in. Do you find that when you are called to look at a book again, you find things in it that just weren’t there before? And do you find that you gain understanding on a whole new level? Well, that’s exactly what I experienced when I started reading. And today, when I woke, I just stayed in bed and kept reading and reading. I couldn’t put it down and I was feeling such a huge resonance with his words. There is so much pure gold in ‘Unveiling Reality’ and I’m going to talk about it in more depth in another post. But for now I just wanted to share in a nutshell what I experienced this morning. I got such a deep realisation of how I had been in such a space of real resistance and was now coming towards making a deeper connection with the source within me. It was as if a bright light bulb had just been switched on. I just knew that something had changed in that moment. The letting go of the way of resisting was making itself known to me through a deep knowing. And when I closed my eyes and became aware of the ‘tiniest bit’ inside of me that represents my true way of being, I knew that there was a shift in this space. It was being seen and heard and able to express itself outwardly. I got an overwhelming sense of relief and almost hilarity when I realised how I had been striving to be in charge and control of my life all these years, distorting myself and wearing the wrong hat. It was so funny and beautiful and warm and expansive. I had spent my whole life trying to do what I hadn’t come here to do. And hadn’t been able to see that. Until now. 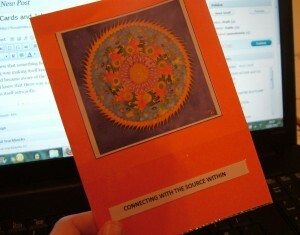 And so just a little while ago I picked an oracle card and chose – Connecting with the Source Within. How beautiful and perfect. How synchronous with what I experienced this morning. I’m feeling lighter and smiling. I thought I knew so much and realise how little I actually knew. This entry was posted in INSPIRATIONS and tagged connecting with source, fionastolze. Fiona Stolze, inspirations, inspired art and living, john de ruiter, oracle cards, spiritual awareness, spiritual journey, spirituality, unveiling reality. Bookmark the permalink. How wonderful this book made you feel this way! I will certainly have to get it. 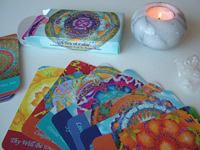 Wonder which tarot cards I would turn up after such inspiration? Interesting! Yes, do get the book and see what you think. You can come on over to my Facebook page on Thursdays and have a free mini reading any week. Thanks for stopping by. Just so you aware that John will hold a meetings at the Edinburgh Middle Eastern Spirituality and Peace Festival in Edinburugh and at the Findhorn Foundation in March, 2012. Here are links to the the two events. 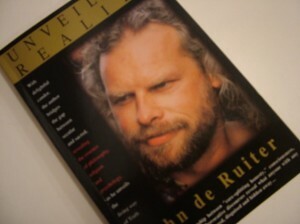 John de Ruiter Meetup groups have also been formed in Bristol and London. Go to meetup.com, type jdr in the topic section and leave the city section blank and all of the John de Ruiter groups will appear. Click on Groups and then again on All Groups to see them all. You can also sign up for John’s newsletter, facebook and twitter pages, and listen to John’s free podcasts on iTunes. Visit http://www.johnderuiter.com for more information. Thank you. I shall have a look at your blog too Connie. Many thanks and have a great day.